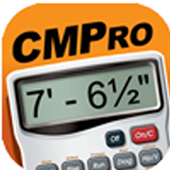 Quickly and easily calculate material quantities, costs, and allowances. Work in and convert between feet, inches, fractions, yards, and metric — includes a full user’s guide built in. Created by Calculated Industries, originator of the award-winning Construction Master calculators.